As one of the major producing centers of Korean beef Hanwoo. Gyeongju has produced quality Hanwoo since the Joseon Dynasty. The quality of the local Hanwoo was so delicious. it used to be tributed to the King during the Silla Dynasty. Raised in a clean natural environment, with fresh feed, the cow produces honest-goodness and tender meat. 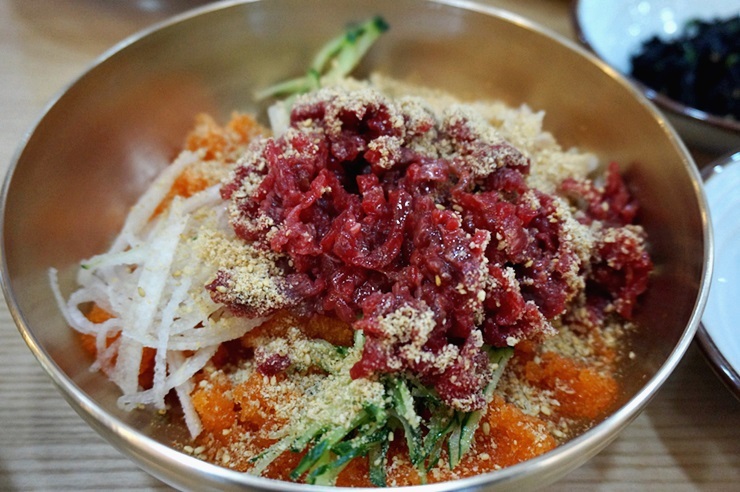 Gyeongju Hanwoo is mainly produced in San-nae-myeon in Seoak District, Oedong-eup in Bulguk District, and Cheonbuk-myeon in Bomun District, where there are a multitude of bulgogi restaurants. The heavenly taste of Tteok-galbi is sweet and tender enough to excite your taste buds. 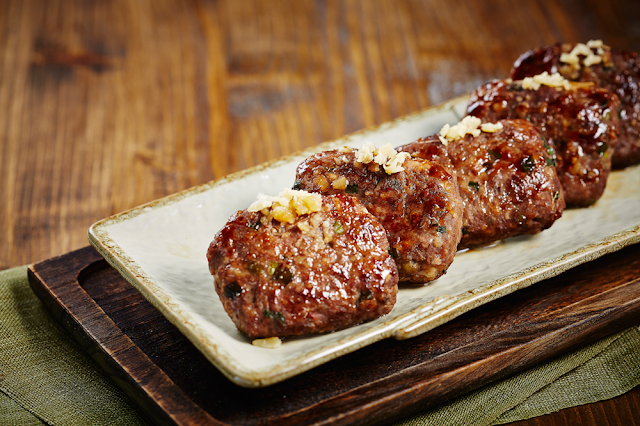 ※ Tteok-galbi(떡갈비) is grilled seasoned chopped short rib patties. The area near Ttaksil-mot, Hagok Reservoir in Angang-eup, Gyeongju, is full of Maeun-tang restaurants. As a famous carp fishing site. the reservoir rich in crucian carp and catfish, which has made this area famous for Maeun-tang. 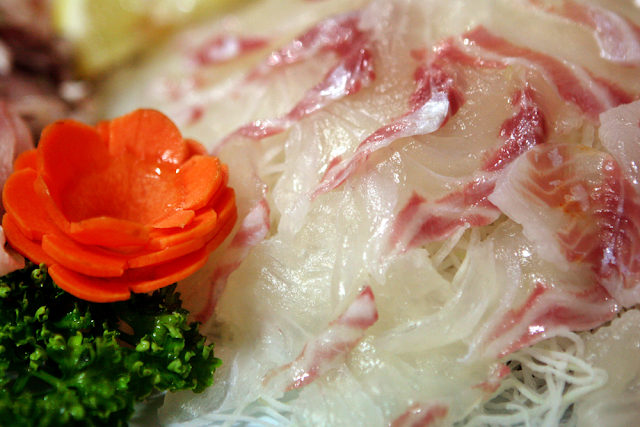 Getting rid of the distinctive smell of freshwater fish is a speciality of the local restaurants. 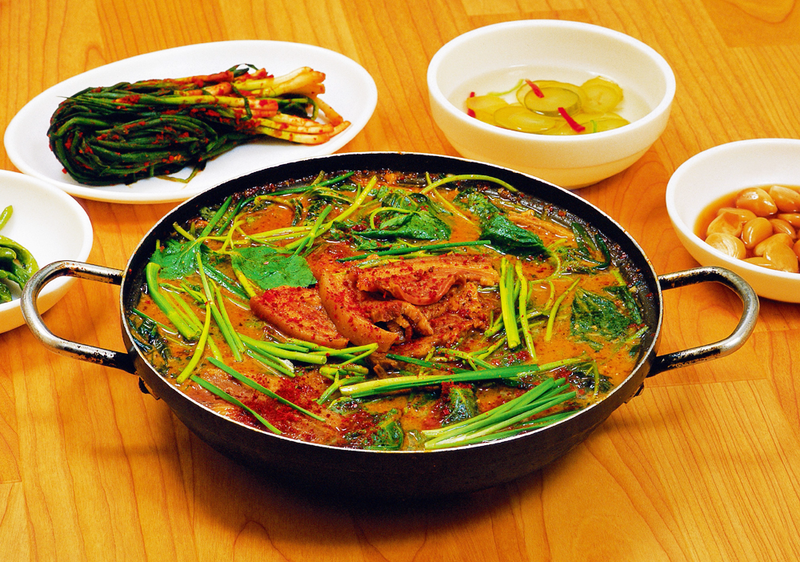 Cooked with flavorful seasonings, Maeun-tang is popular as an invigorating Korean dish. Sundubu can be made into stew, steak, pan-fried flat cake and many more dishes. The simple and fresh flavor of the tofu is incomparable to that of a synthetic flavor. ※ Sundubu(Soft tofu, 순두부) is made by grinding quality local soybeans with a traditional millstone. 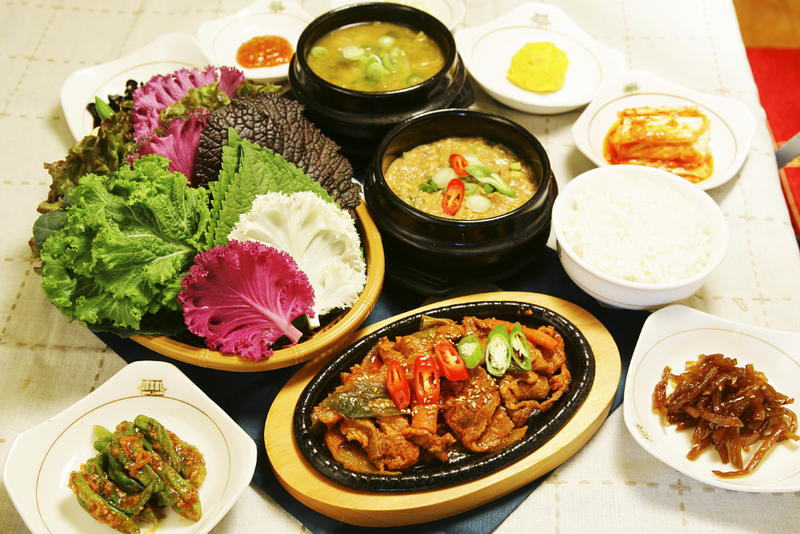 A Ssambap dish usually includes fresh vegetables, deonjang jjigae(fermented soybean paste stew) and grilled fish. It serves as a very healthy meal that has all the five essential nutrients. The rich flavor of local in-season vegetables and wild herbs will fill up the stomach with nutrients and energy. Along Palujeong street, in Gyeongju downtown, there are an abundant amount of Haejanggguk restaurants. The street is also called Palujeong Haejanggguk street. Unlike other in Korea, the restaurants on this street serve clear soup, Haejanggguk, made with kimch, been sprouts, anchoives, and muk, a jelly made of buckwheat. 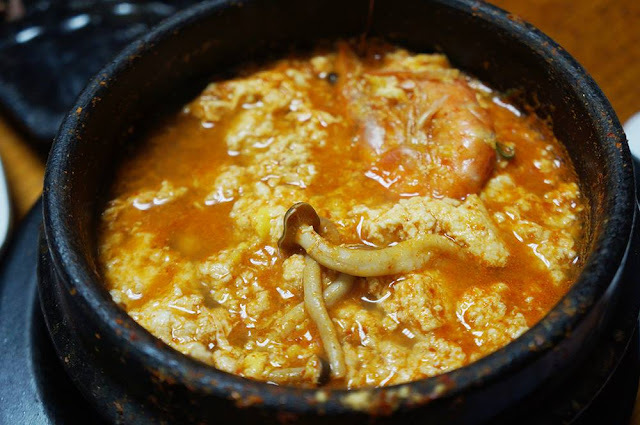 The sourness and freshness of the soup is a unique taste that you can only taste in Gyeongju. Around Gampo-port in Gampo-eup by the Esat Sea. there is an area full of fishman's market and raw fish restaurants. Visitors can eat fresh fish directly coming form farms or ships for reasonable prices. If you are a gastronome, this is a nice place to plan a food tour along the Gampo Ggakjigil-path.